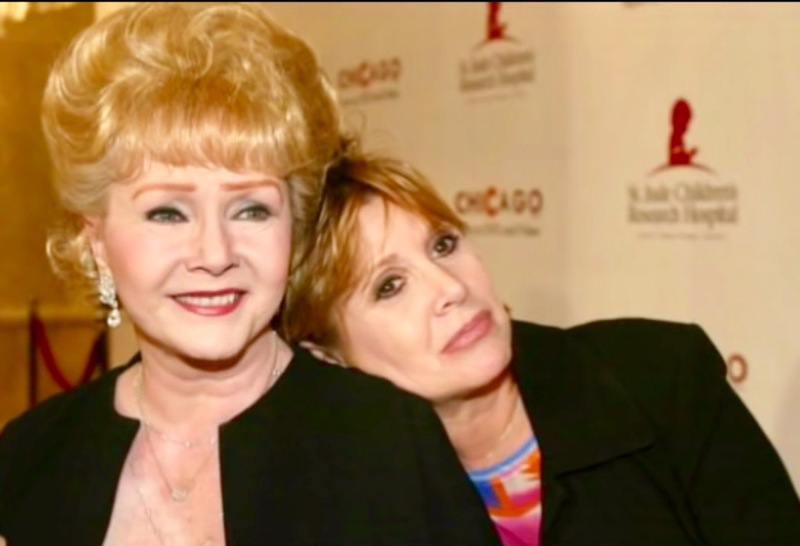 When I saw this beautiful video of Debbie Reynolds performing with her daughter, Carrie Fisher, I couldn’t help but notice the tender and committed love they shared. From Debbie gently stroking her daughter’s hair, to the genuine spoken moments and then that final hug, I was extremely touched and teary -eyed that two Hollywood legends were so grounded in their commitment to embracing their love for each other in such a public way. For, despite their incredible fame which sometimes became sullied with personal heartbreaks and struggles, these two wonderful ladies finally reached a stage in their lives where they realized that true, ongoing happiness could be found in the simplest things. Embracing all that life has to offer that money cannot buy. The love of family. Living in the moment. As sad as their deaths have been for millions of fans around the world, they found a way to leave the world in an absolutely miraculous and heartfelt manner. For truly their passing was one of the saddest and sweetest things I have witnessed in a very long time. A mother dying 24 hours after her daughter died. They were that close. And that special. And we shall remember their legacy and the message of love and peace they sent us before they left on their journey home. I hope you enjoy this beautiful medley of “You Made Me Love You” and “Happy Days Are Here Again“. I hope it puts a smile on your face and a song in your heart. Debbie And Carrie would love that. R.I.P. Debbie Reynolds and Carrie Fisher. And, on behalf of the MCL Community, I would like to extend my deepest condolences to their family members and friends. Thank you Roseanne, and so well written…….. One of the most saddest days indeed, but they went together….. Cherish every moment with great friends and of course family, we will never know when our last day on this earth will be….. Thank you Richard. I was so touched by their story. I wanted to write something sooner but was too ill with the glue to focus. Your comments are most appreciated. Cherish the moment! !